“Upon completion of phase II of this road and the completion of the entire project the road will be named the Japan Freeway,” he said. The President said the renaming of the Somalia Drive road to Japan Freeway is Liberia’s own way of expressing gratitude to the people and government of Japan for their contribution in the reconstruction of the road. Liberia and Japan signed a grant agreement for the reconstruction of the 13.2km urban road and the construction of two bridges on the Somalia drive corridor. Having considered the significant impact of the road to end users, both governments saw the need for the expansion of the road from the existing two lanes to four lanes. The Ministry of Public Works has been designated as the implementing agency whereas the Japanese government through the Japan International Cooperation Agency (JICA), is the administrative agency. Phase one of the project has been completed through the intervention of Dai Nippon Construction, the contractor and the consultant Katahira and Engineers International. The Liberian leader, at the same time, also broke ground for the commencement of Phase Two of the project. Wednesday’s dedicatory ceremony marked the completion of Phase I of the construction of the four-lane road, which began in 2014 but was interrupted by the Ebola epidemic. The Liberian leader disclosed that phase I of the project cost US$50M while phase II that is about to begin is expected to cost US$45M. President Weah said when the work is fully completed, traffic congestion on the Somalia Drive will be ease and will serve as a major link between the capital and adjoining parts of Monrovia. President Weah said he was happy to be part of such an important program, which according to him, will go down in history, especially when his government’s agenda is geared towards infrastructure, including road. “We have come to dedicate Phase One of the Somalia Drive Road, the main link that provides access to thousands of people who live in Housing Estates on this side of this town. Therefore, completion of this phase of the project is expected to ease traffic congestion and bring new proficiency to trade and commerce, as well as bring improvement to the quality of life of those of our citizens who will no longer spend long hours in the traffic,” the President said. He lauded the government and people of Japan for their willingness to construct such high-quality road. “The road will bring relief and access to hundreds of our people and will enhance free movement along this corridor,” he said. He noted that the project is a demonstration of the longstanding bilateral relationship existing between both countries. 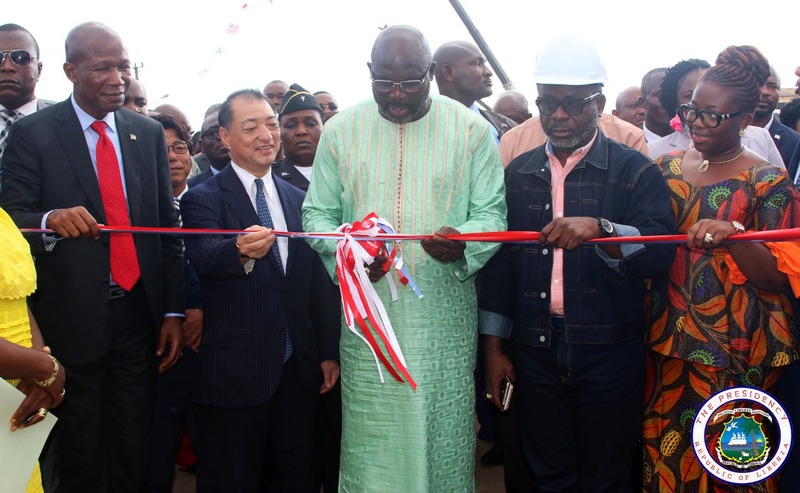 “It is my understanding that when the road is completed, it will be named the Japan Freeway,” President Weah said. He thanked his predecessor, Madam Ellen Johnson Sirleaf for initiating the project and promised to continue all projects the former Liberian President started during her tenure. Also speaking, Japanese Ambassador to Liberia, H.E. Tsutomu Himeno thanked the government and people of Liberia for their support in the implementation of the project. He said the quality of the road is a classical epitome of Japan’s work. For his part, the Senior Representative of the Japan International Cooperation Agency (JICA), Mr. Norihito Yonebayashi said the Somalia Drive Road Project is JICA’s largest infrastructural project in West Africa. He noted that JICA is not only providing physical project road to Liberia but is also building the capacity of Liberians who are working with the company. “We are not only providing infrastructural project to Liberia, but we are also building the capacity of Liberians working with the contractors, and this is not the end of Japan’s contribution to Liberia,” he said. Montserrado County Superintendent Florence Brandy in her welcome remarks described the project as a success story that will be a help mainly to students, who wake up very early in the morning to beat the traffic due to bad road. “The road opening will allow students mainly children who sleep less than eight hours to now have enough sleep for at least eight hours,” she said. Public Works Minister Mabutu Vlah Nyenpan noted that the outcome of the project contributes to the aims and objectives of the government’s Agenda for Transformation (AfT), which he said commits to rehabilitate, reconstruct and primary, secondary, feeder and urban roads. “In addition, the project outcome is aligned with one of Public Works’ strategic medium to long-term objectives that aim to transform key community roads to all-weather asphalt paved roads, reduce travel time, lessen travel cost and increase the price of farmers’ productions,” he said. Some beneficiaries of the Somalia Drive Road have expressed gratitude to the government. Some students in the Gardnersville area who use the Somalia Drive, have also expressed happiness in the opening of the road. Charles Davis, a student of the BW Harris School explained that he wakes up as early as 4:30 a.m. to get to central Monrovia from New Georgia Estate. “It can be very risky for us to leave Bassa Town in New Georgia Estate to come to school in Town. I wake up every day by 4:30 to get ready for school. 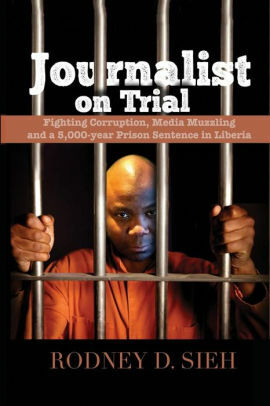 Sharp 5 a.m., I am on the road to catch a car just to beat the traffic,” he explained. Charles said since vehicles started using the new Somalia Drive Road he no longer wakes up at 4:30. “This time around I sleep up to 5 AM and get prepared for school without the stress of being late. We don’t experience traffic like before; we thank the government for the road,” he noted. Madam Florence Johnson, a mother of three, could not stop dancing. “My son I am happy, I am very happy for this road, for this road business we can’t sleep, we wake up early in the morning and start going from town as soon as 4:30 a.m.; what kind of life is this? Why will you wake up 4 a.m. for work and start rushing from work 4 PM all in the name of beating traffic,” she expressed. She continued: “I and my kids will now rest since there is no more traffic on our road, we called on President Weah to continue constructing more roads,” she noted. Commercial drivers could also not hold their joy for the completion of the first phase of the project. Peter Zazay, a commercial driver, who runs from Gardnerville to Monrovia said his tires and car’s shock-absorber will now stay a longer time. “We always experience under-carrier problems and our shock-absorbers don’t stay long due to this bad Somalia Drive Road, but with the pavement of this road we are free like bat flying in the night,” he explained with joy. Another taxi driver, Moses Mason, said he will now save gas and get more passengers with the completion of the road. “When the road was bad and traffic heavy, one gallon of gas couldn’t carry you Gardnerville but since we started using this new road with the traffic moving freely, I can use one gallon of gas from town to Gardnerville and I make more money like before,” he said. The deplorable condition of the Somalia Drive road made it almost impossible for family members in central Monrovia to visit their relatives in the Gardersville belt due to huge traffic that lasted for hours. People used to stay in traffic for hours before reaching their destinations because drivers would not allow their tires get damage from the potholes on the road. Most of those who attended the dedication of the road were seen jubilating for the project.